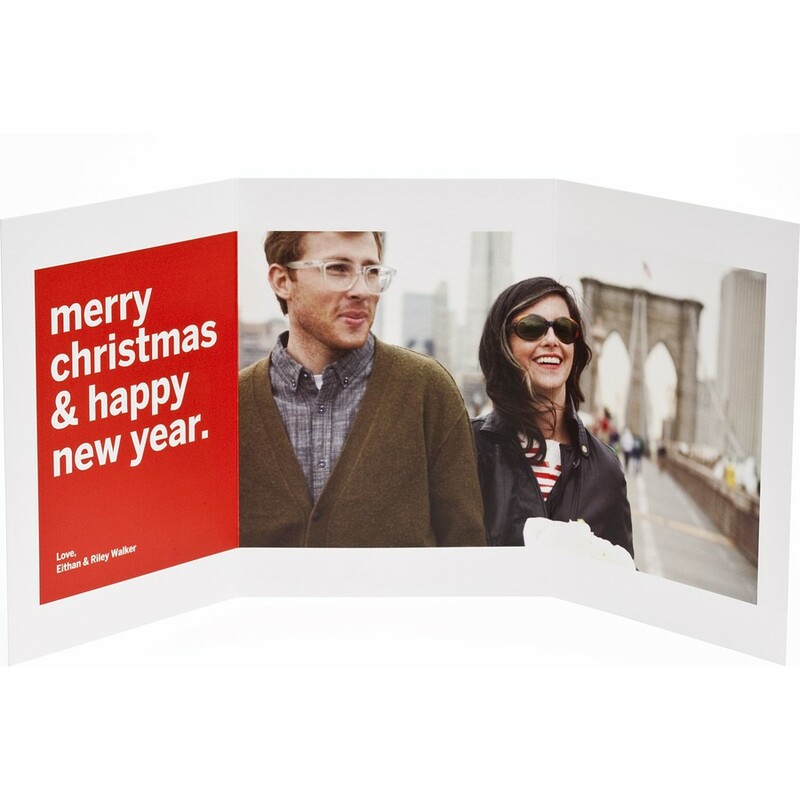 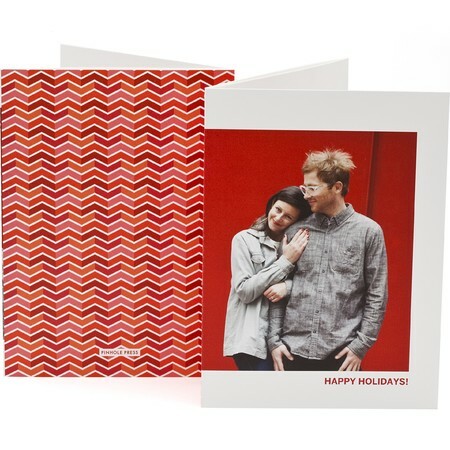 The Chevron Trifold Photo Card brings a “wow” experience to your holiday. 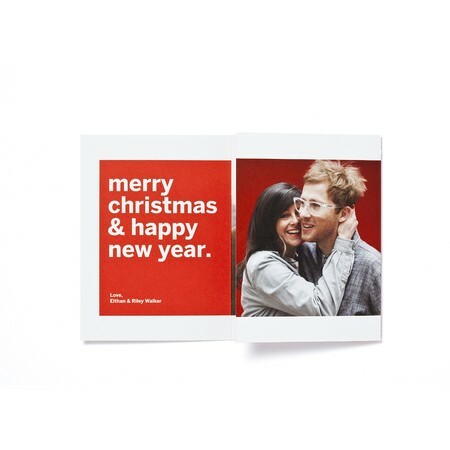 Featuring your happy holiday wishes right on the envelope, this trifold photo card unfolds to reveal holiday joy that will bring a smile to their face. 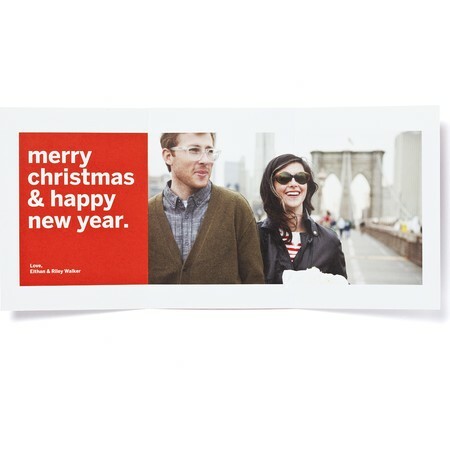 With luxurious premium paper and a bold holiday design, they may keep this photo card on the mantle for the entire year.